His Holiness Patriarch Mor Ignatius Aphrem II was invited to a special luncheon in his honor at St. Vartan Armenian Orthodox Cathedral and the Headquarters of the Archdiocese in New York. 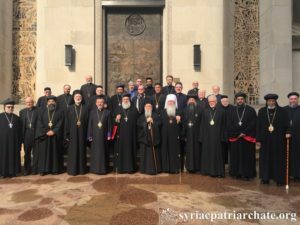 The heads of the Oriental Orthodox and Eastern Orthodox (Byzantine) Churches in Eastern USA were invited to attend the luncheon. His Holiness was accompanied by their Eminences Mor Dionysius Jean Kawak, Patriarchal Vicar for the Eastern USA, Mor Teethose Yeldo, Archbishop of the Malankara Archdiocese for Northern America, Mor Silvanos Ayub, Archbishop of the Knanaya Regions in Europe and America, Very Rev, Raban Joseph, Patriarchal Secretary and Media Office Director, Very Rev. Fr. Joseph Chamoun and Rev. Dn. George Kiraz. 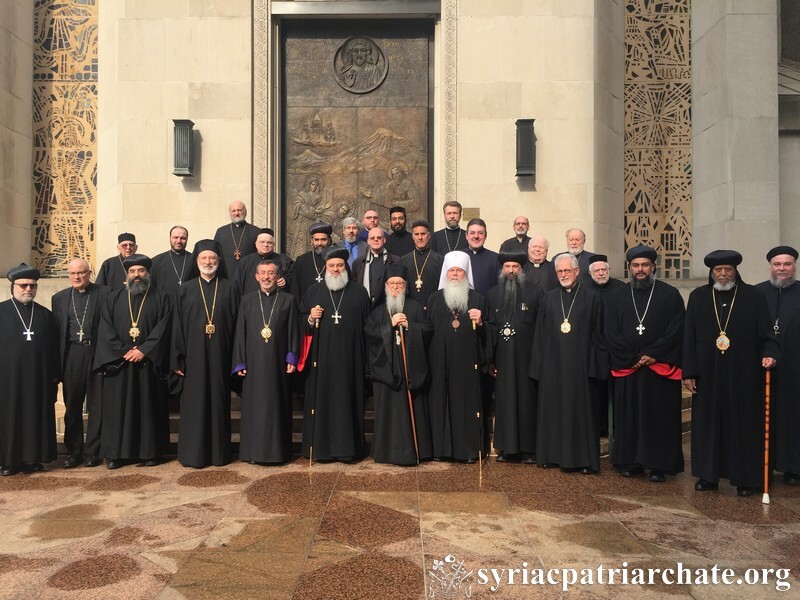 His Eminence Archbishop Khajag Barsamian, Armenian Orthodox Primate for the Armenian Diocese of Eastern USA, welcomed His Holiness and assured him of the support of the Armenian Apostolic Church and all the Orthodox Churches in his mission. He expressed the solidarity and prayers of the heads of the churches present in the meeting. His Holiness thanked His Eminence for his support and spoke about the current situation of Christians in the Middle East. He also spoke about the ecumenical role of the churches in the Middle East and their common witness for Christ in their deeds and humanitarian actions in the face of the different crises in Syria and Iraq.